... and Deathcab For Cutie, at the 2019 Arts Festival. Nice eye-bob theme evolving in the videos today. Here's a hot-off-the-edit-desk audio-visual visit to Orchestra of Sphere's HQ. They're weird, in the best ways. 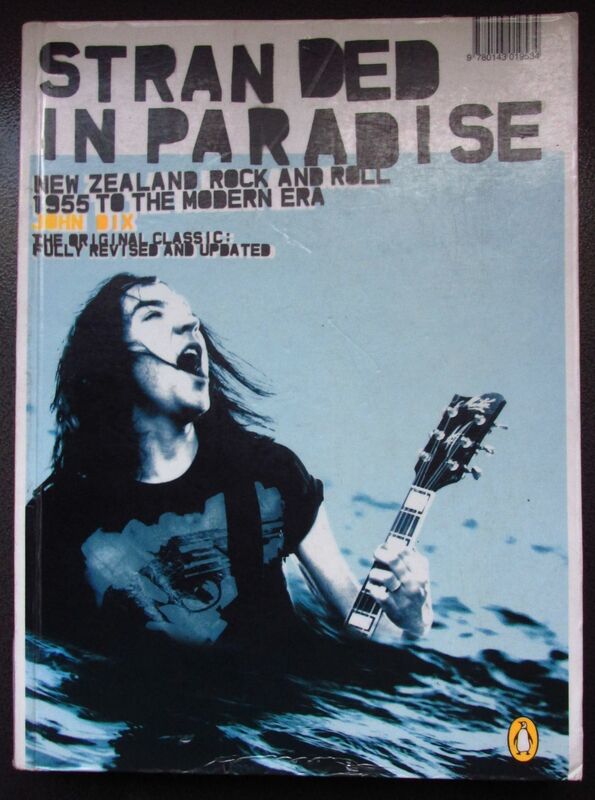 Just wondering - does anyone out there have a copy of the Penguin edition of John Dix's 'Stranded in Paradise' that they want to sell - or seen a copy for sale in a bookstore (or anywhere) recently? Trying to track one down for a recent US convert to NZ music who is putting a radio show together. Did John do the small reprint he was talking about a while ago (to replenish the library service) ? - John are you out there? I don't seem to have a contact email. <aside>: I was born the same year as Neue Haas Grotesk ('57), it became Helvetica in 1960. RNZ's Music 101 explores Julien Dyne's Teal some time between 2 and 3pm today. The world would look so different since then if we stripped out that typeface. Glad I could find the pic of Ladi playing at your Bowling Club event for the AC piece. I have some photos of The Checks and an ensemble from Lil Chief at those events too (an image from each performance are on the respective Audioculture pages - North Shore Rock'n'roll: 2004-2010 and Lil Chief Records. Good times! Nice one Gareth – I actually missed that pic! That was a lovely afternoon.